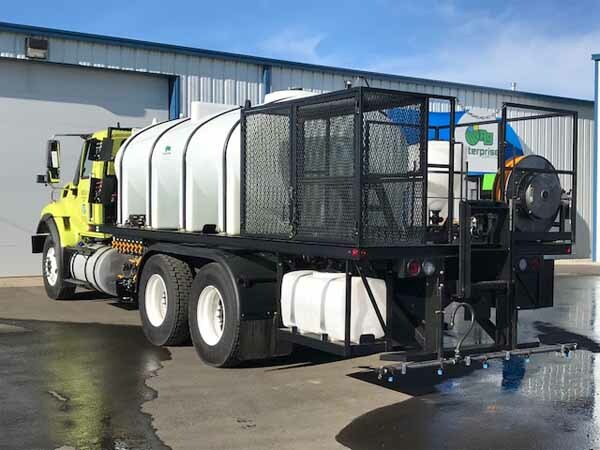 This is a 500 gallon, dual product roadside sprayer we just finished here at Ag Enterprise Supply, Inc. A very involved build but it turned out very well. 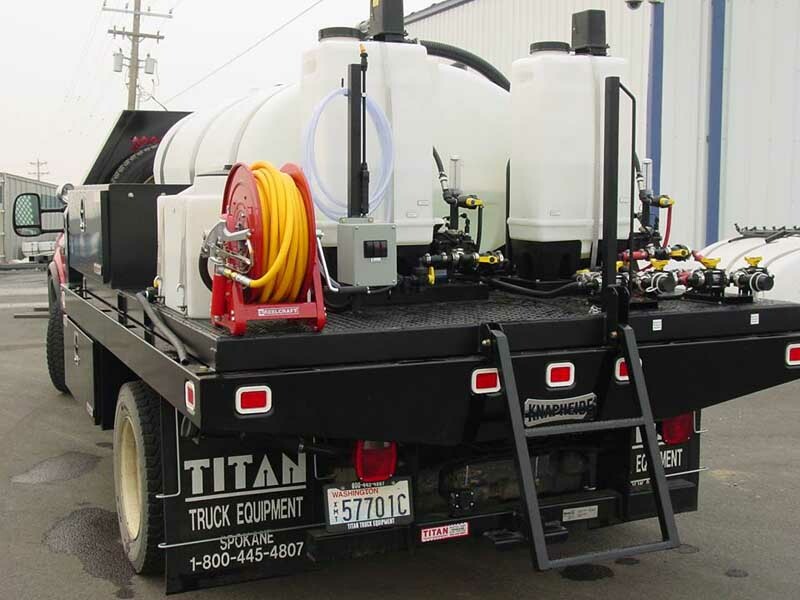 All the product handling is done through an Ace 660 pump, 5.5HP Honda, Raven flow controls, and Banjo plumbing parts. 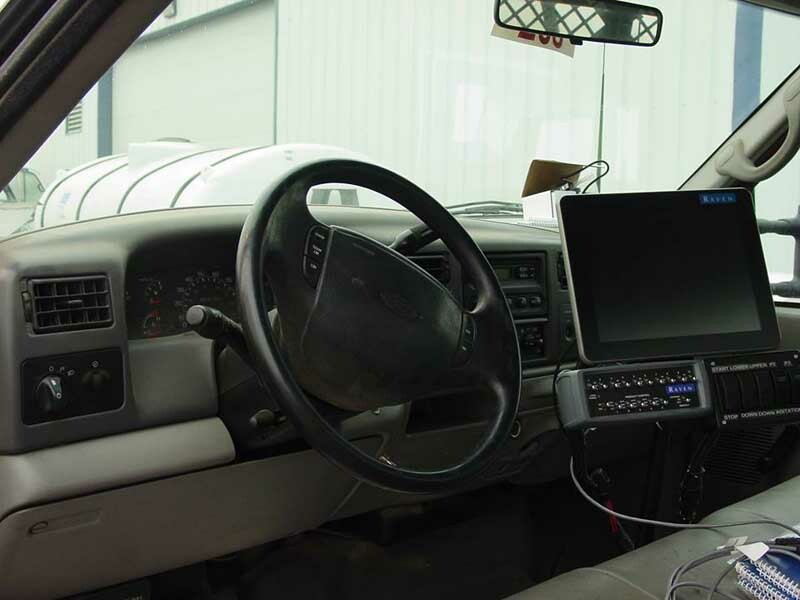 A Viper 4+ displays custom information that the operator wishes to keep an eye on in the cab. 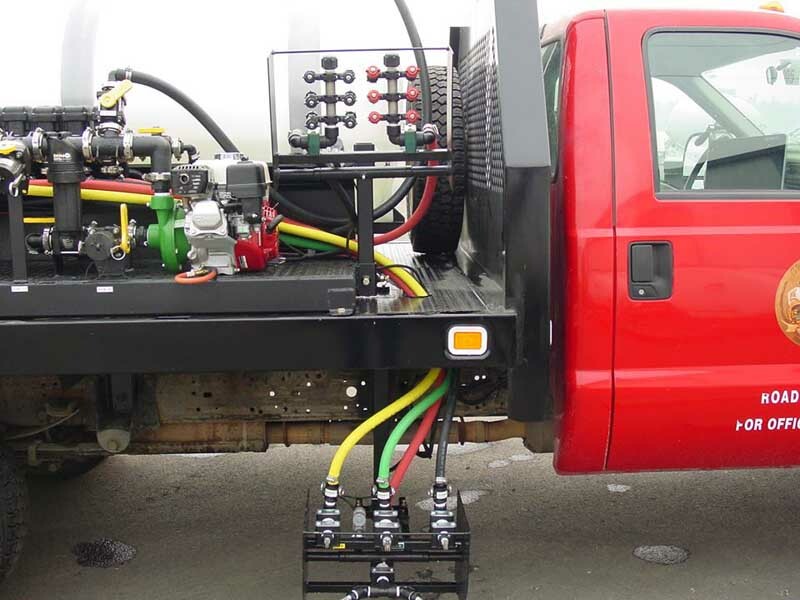 A custom switchbox has remote stop/start capability to the Honda, will aim the spray heads from inside the cab, and controls the centrifugal agitation pumps for the two injection modules. This vehicle can cover every inch of ground out to about 30’ from the side of the pickup. 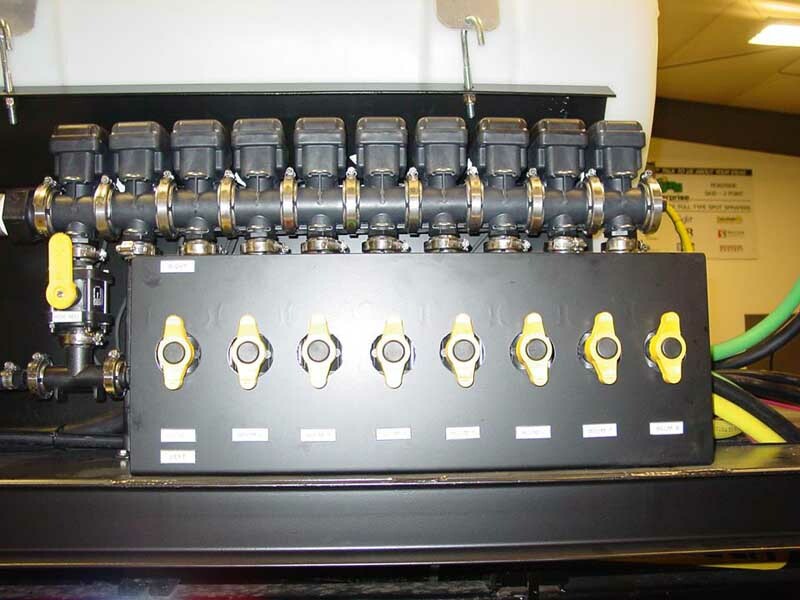 The injection pumps had mechanical agitation installed as an option the is controlled through the Viper 4+. 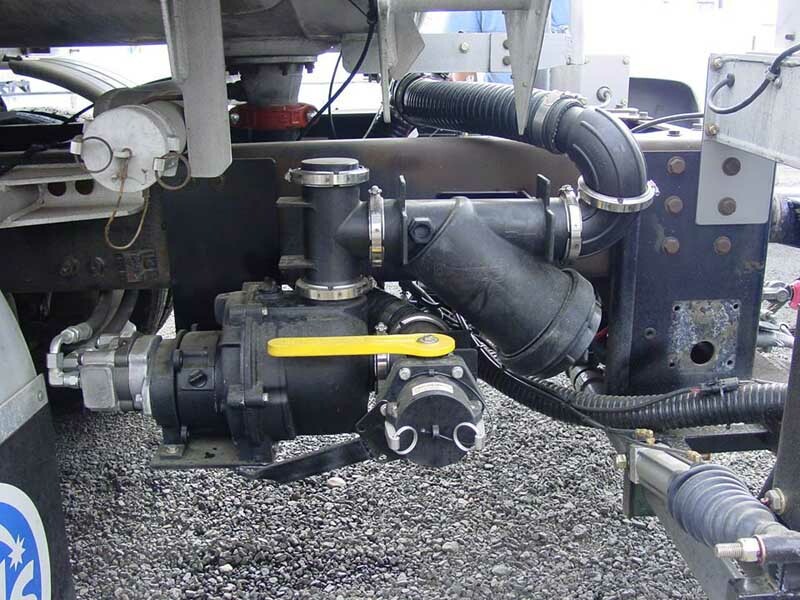 Banjo dry lock connectors allow the user to fill the injection module tanks from a bulk tank without having to climb up onto the bed and fill through the top. 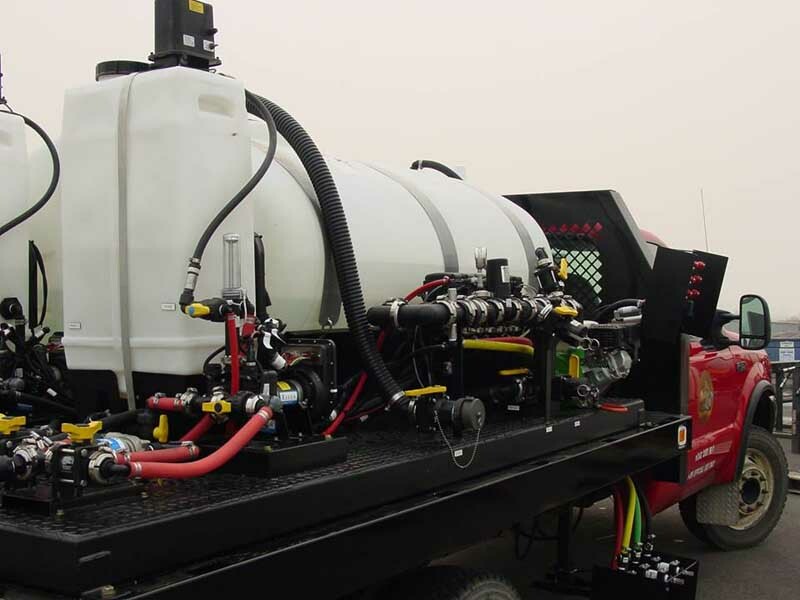 This is a custom dust abatement applicator we recently designed and built at Ag Enterprise Supply, Inc. The customer wanted to convert this old fuel truck into a summer money maker and asked us to build it for them. A huge Banjo hydraulic driven pump is running almost maxed out applying a half a gallon of product per square yard at 4 miles per hour. This works out to almost 360 gallons per minute. A Raven PWM valve is used instead of a control valve to make the rate lock on. A custom bracket was made to mount the Raven 440 console and custom switches to run the actuators. 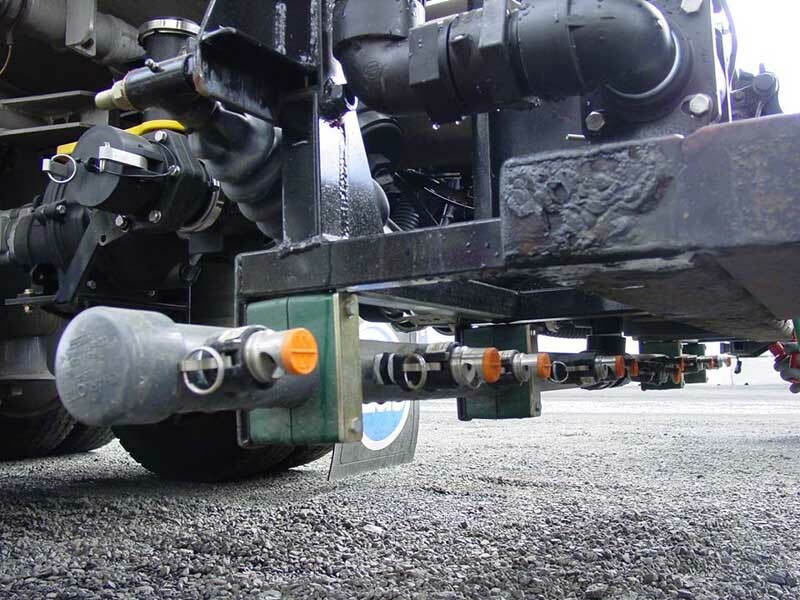 Pneumatic cylinders are used to fold the side lanes up and down. Custom built brackets were made to hold the custom built spray bars. All the joints were drilled and tapped for grease zerks to prevent binding and premature wear. A very involved build that will work for years to come. This is a 1,000 gallon hook load vegetation sprayer. The theory behind the hook load capability is that you can use one vehicle for many different duties. A hydraulic hook can grab anything that will fit and lift it onto the truck frame. 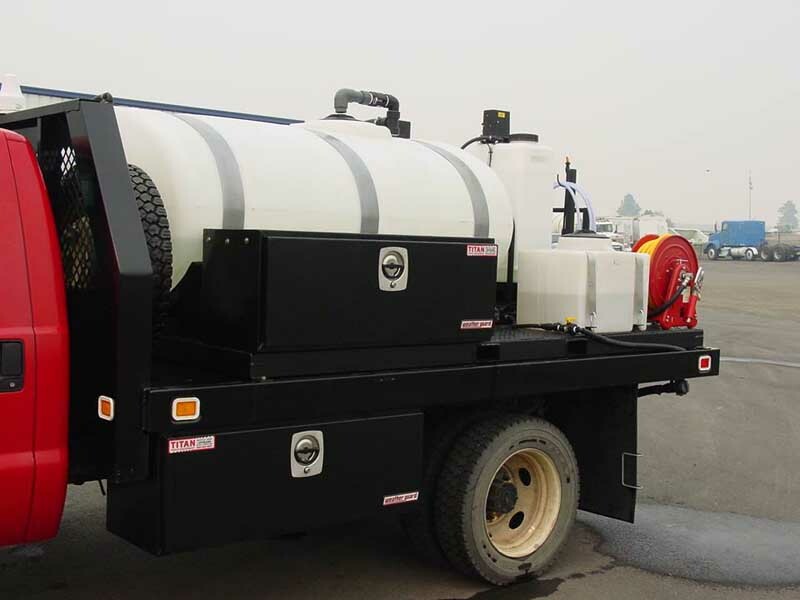 With in-cab adjustable spray heads on both sides the target is easy to lock on. 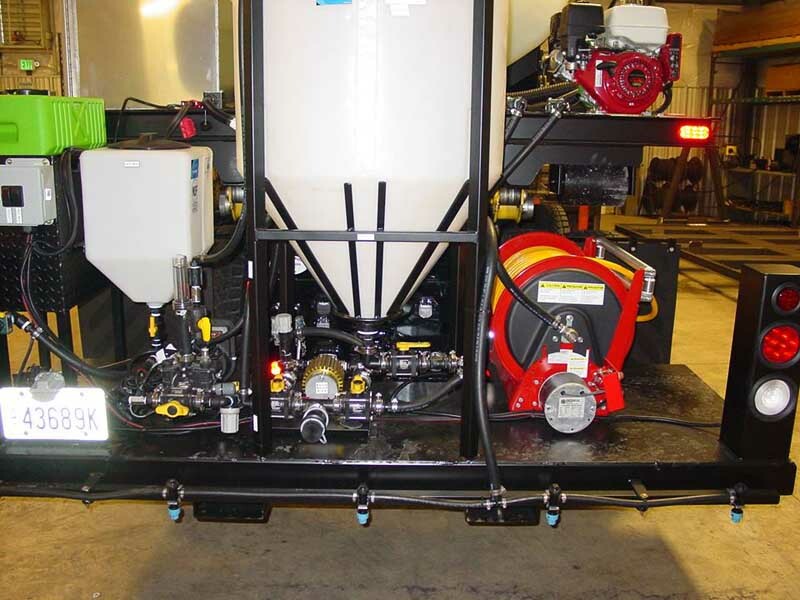 A custom removable tail shelf was built to accommodate an 85 gallon bulk chemical tank with agitation pump, 300’ electric hose reel, and low volume injection pump. 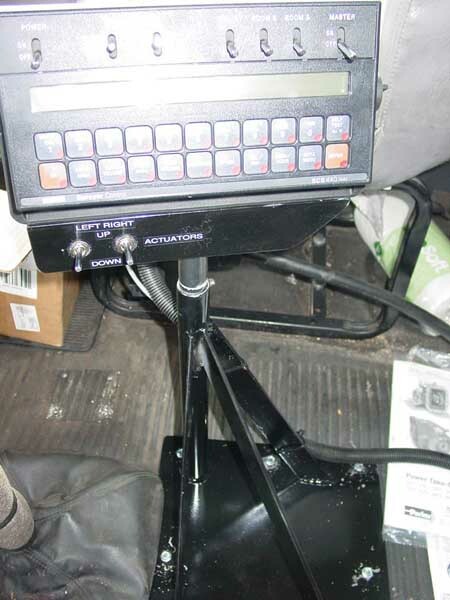 The rate control and the mapping is done with a Raven Envizio Pro and CAN switchbox. 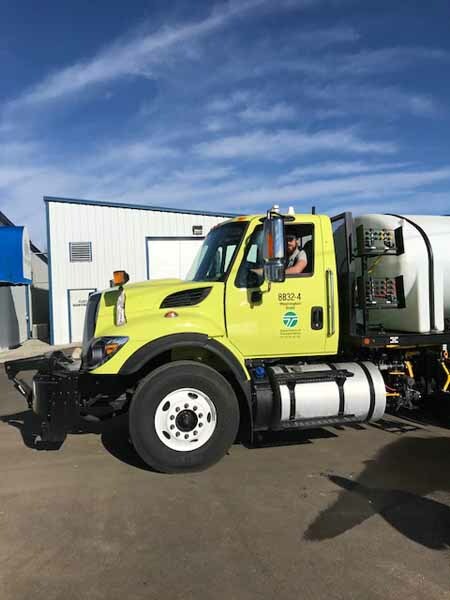 This is a brand new model never before built at Ag Enterprise Supply, Inc. and there are 5 more larger models being worked on in the shop right now for de-ice application. 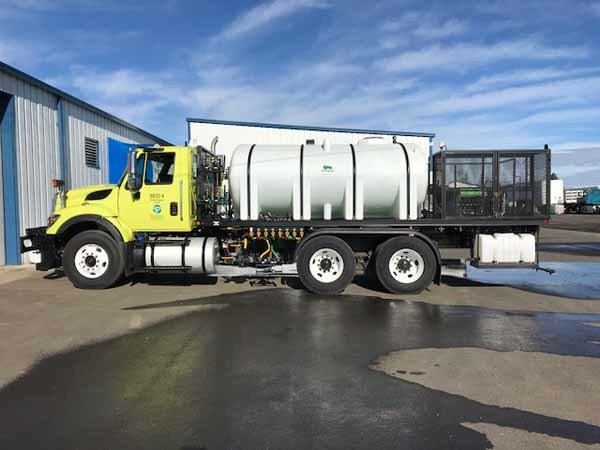 A quick and clean connection can convert this truck from a vegetation sprayer to anything else in minutes. Inspection finished and truck was accepted. Another home run for the parts and fab guys. 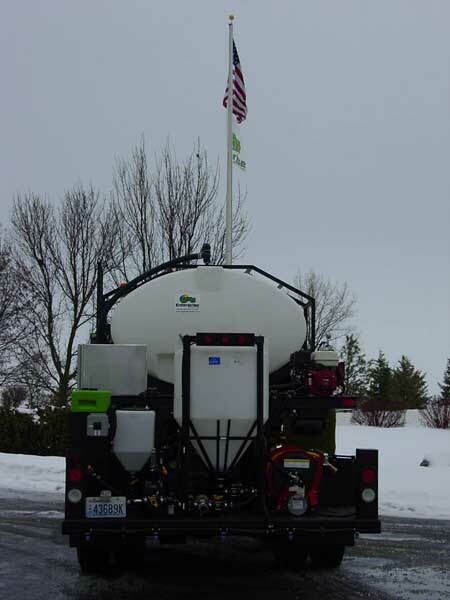 We built everything on this 2,350 gallon de-ice/vegetation roadside applicator from the chassis up. To start off, all the flow is generated by a hydraulic drive Hypro pump. From there it can be directed through the vegetation system or back to the de-ice manifold through Banjo poly plumbing. Full spray heads on both sides are controlled through a Raven Viper 4 console with Slingshot for remote data transfer as well as remote technical support. The main item on the wish list was lockable chemical storage and a Banjo inductor setup. 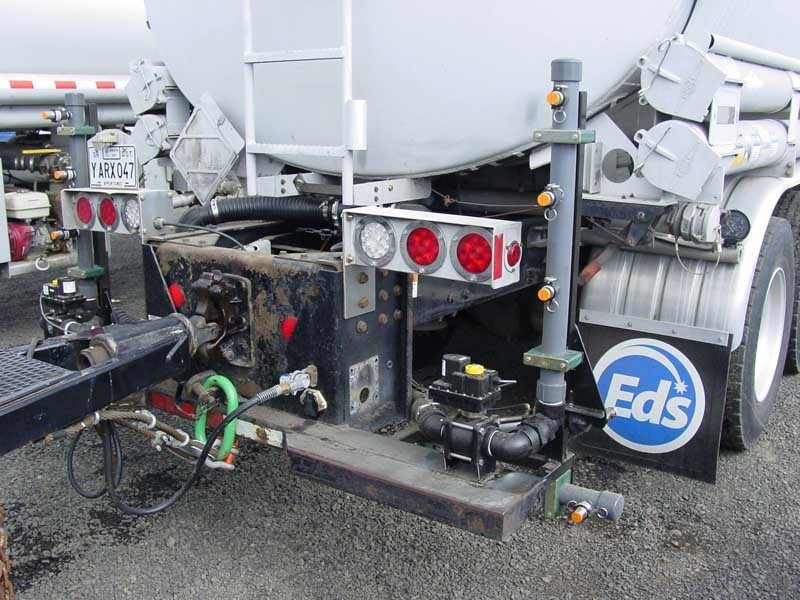 When filling, the pump forces water through a venture system mounted on the bottom of the chemical load tank and the flow will take the chemical in to the tank. This eliminates the risk of fall from climbing up to the lid to dump chemical in the top. The custom in-house switch box is used to aim all the spray heads remotely from the cab. 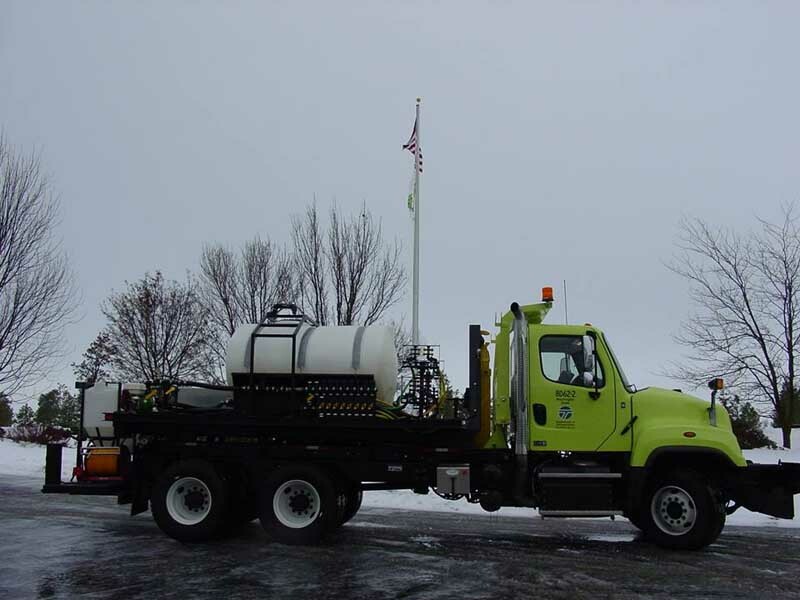 A tiered de-ice bar on the back allows this double duty vehicle to apply de-icer from 5-50 miles per hour without having to change tips. This is one vehicle that can find something to do all year long on the roads here in Washington state.